Hyper-v 3 of Windows 8 is going to have total win? I believe everyone has learned Windows 8 Beta is released. I had chance to read documents of Windows 8 and I dare to say. “If Windows 8 Hyper-v is as good as what they claim in the Document, Vmware is in deep trouble and Windows 8 will roll out and replace Windows 2008 in less than one year”. so what’s the major features Windows 8 holds and will change the I.T world? AD is ready for Virtualization. After 5 years, finally, we can see a windows OS was designed for virtualization. We always have saying that one can’t put DC on the vm because the timing issue. Here is the solution. This is called the virtual machine GenerationID. The virtual machine GenerationID changes whenever the virtual machine experiences an event that affects its position in time. The virtual machine GenerationID is exposed to the virtual machine’s address space within its BIOS, and it is made available to the operating system and applications through a driver in Windows Server ―8‖ Beta. During boot and before completing any transaction, a virtual domain controller running Windows Server ―8‖ Beta compares the current value of the virtual machine GenerationID against the value that it stored in the directory. A mismatch is interpreted as a ―rollback‖ event, and the domain controller employs AD DS safeguards that are new in Windows Server ―8‖ Beta. These safeguards allow the virtual domain controller to converge with other domain controllers, and they prevent the virtual domain controller from creating duplicate security principals. 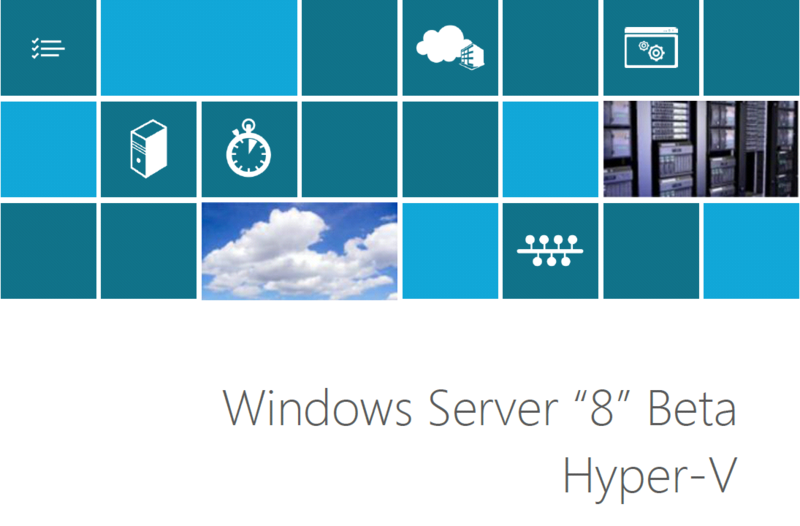 For Windows Server ―8‖ Beta virtual domain controllers to gain this extra level of protection, the virtual domain controller must be hosted on a virtual machine GenerationID–aware hypervisor such as Windows Server ―8‖ Beta with the HyperV role. This VGID requires Hypervisor layer to support it. vSphere 5 doesn’t. How about vSphere 5.1? An Unique identity for your vm. Server Name Indication (SNI) uses a virtual domain name to identify a network endpoint, eliminating the need to have a dedicated IP address for each secure site. It does this by extending the Transport Layer Security (TLS) protocol to include the virtual domain name during Secure Sockets Layer (SSL) negotiation. SNI allows the client to request the domain name before the certificate is committed to the server. 10,000 unique IP addresses. With SNI, you need only one. SNI also supports thousands of SSL certificates and uses the local certificate store. Imaging you don’t need to change DNS name. You don’t need to change IP address of your VM. You don’t need to spend expensive Cisco Network, here it is. • Two IP addresses for each virtual machine. • Generic Routing Encapsulation (GRE). Essentially, Each VM has CA (Customer address, normal IP) and PA (The provider Address, the host IP where VM is running). So the tcp/ip package will be repackaged with GRE as follow. When a IP package is delivery, it will check host IP (PA) first and check CA. In this case, you can move your vm easily between any clouds without other changes but the host IP (PA). How good that is!! Well, I’m extremely glad that Microsoft made such huge jump/leap on Cloud. Vmware, it’s your move now! « What’s going on in Virtualization? LOL, seriously – you think no AD on VM? That’s almost as outrageous as your claim that Hyper-V is just going to magically stomp vSphere because they finally have (almost) feature parity. Nobody is interested in ripping out their core infrastructure part and parcel for Hyper-V – maybe in greenfield implementations it has a better chance. At the end of the day, most organizations look at MS as a necessary evil, and are reluctant to run their hypervisor on a Windows box. This may be fine for low budget orgs looking to do the best they can with limited resources, but not for most others. Your blog used to have good information on occasion that made it worth stumbling through your broken english, but you seem to have a huge axe to grind ever since the vSphere 5 licensing model changes. I suggest you take a step back, and gain some perspective and objectivity. It is no timing issue that makes Domain Controllers sometimes not suitable virtualized, but the impact of unknowing administrators doing snapshot rollbacks. This breaks the DC replication, not because of the time, but the DC specific Update Sequense Number – the issue is called “USN Rollback”.